When you hear 'LED' light, do you think of bluish Christmas light strings or blinking lights on your electronics? Or maybe really expensive lightbulbs? Me too. However, I got the chance this month to try a new bulb on the market called the Philips LED Daylight. This bulb gets you as close to daylight as possible in the comfort of your own home, & provides a true daylight effect that, I'm told, can help prevent eye strain. The bulb also offers energy and cost savings to boot, particularly since BCHydro is implementing instant in-store rebates for LED use in October as part of their PowerSmart month initiative. The LED bulb looks a bit like a spotlight, but fits into regular lamps & other fixtures just like an incandescent or most compact fluorescents. The Philips Daylight LED is dimmable too--which is a nice feature most CFLs don't have. I like the light quality--very white compared to the CFLs in all our lamps, but not blue or harsh. Save money: Philips LED bulbs require less wattage to perform without sacrificing brightness, which means 80% lower energy costs. Environmentally Friendly: Remember the first of your three Rs: REDUCE, REUSE, RECYCLE. Using less energy & replacing light bulbs less often makes Philips LED bulbs an eco-friendly option for lighting your home. You can get great deals on your power saving LED lights at Costco, Home Depot, London Drugs, & Rona for the month of October only (in BC--other provinces have different deals & timing). 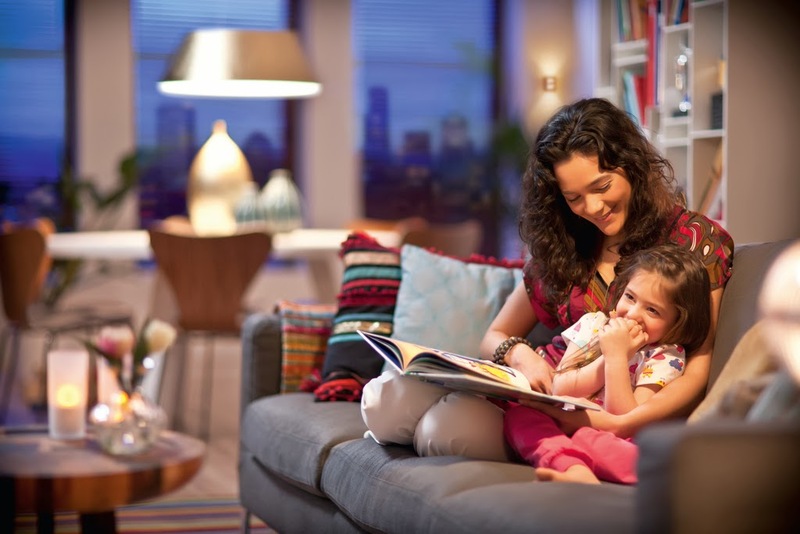 For more information on Philips LED lighting, visit their website. Disclaimer: I received a free Philips LED Daylight bulb to try at home, but was not otherwise compensated for this post. The opinions are my own.